by Jonathan Sarfati, Ph.D., F.M. This chapter contrasts the evolution and creation models, and refutes faulty understandings of both. A major point is the common practice of Teaching about Evolution and the Nature of Science to call all change in organisms ‘evolution.’ This enables Teaching about Evolution to claim that evolution is happening today. However, creationists have never disputed that organisms change; the difference is the type of change. A key difference between the two models is whether observed changes are the type to turn particles into people. Evolution, of the fish-to-philosopher type, requires that non-living chemicals organize themselves into a self-reproducing organism. All types of life are alleged to have descended, by natural, ongoing processes, from this ‘simple’ life form. For this to have worked, there must be some process which can generate the genetic information in living things today. Chapter 9 on ‘Design’ shows how encyclopedic this information is. So how do evolutionists propose that this information arose? The first self-reproducing organism would have made copies of itself. Evolution also requires that the copying is not always completely accurate—errors (mutations) occur. Any mutations which enable an organism to leave more self-reproducing offspring will be passed on through the generations. This ‘differential reproduction’ is called natural selection. In summary, evolutionists believe that the source of new genetic information is mutations sorted by natural selection—the neo-Darwinian theory. In contrast, creationists, starting from the Bible, believe that God created different kinds of organisms, which reproduced ‘after their kinds’ (Gen. 1:11–12, 21, 24–25). Each of these kinds was created with a vast amount of information. There was enough variety in the information in the original creatures so their descendants could adapt to a wide variety of environments. All (sexually reproducing) organisms contain their genetic information in paired form. Each offspring inherits half its genetic information from its mother, and half from its father. So there are two genes at a given position (locus, plural loci) coding for a particular characteristic. An organism can be heterozygous at a given locus, meaning it carries different forms (alleles) of this gene. For example, one allele can code for blue eyes, while the other one can code for brown eyes; or one can code for the A blood type and the other for the B type. Sometimes two alleles have a combined effect, while at other times only one allele (called dominant) has any effect on the organism, while the other does not (recessive). With humans, both the mother’s and father’s halves have 20,687 protein-coding genes, while 97% of the rest of the DNA has an important role in coding for RNA, for control of gene expression. Overall, the information equivalent to a thousand 500-page books (3 billion base pairs, as Teaching about Evolution correctly states on page 42). The ardent neo-Darwinist Francisco Ayala points out that humans today have an ‘average heterozygosity of 6.7 percent.’1 This means that for every thousand gene pairs coding for any trait, 67 of the pairs have different alleles. If we consider only the protein-coding genes, this would mean 1,340 heterozygous loci overall. Thus, any single human could produce a vast number of different possible sperm or egg cells 21,340 or 2.4 × 10403. The number of atoms in the whole known universe is ‘only’ 1080, extremely tiny by comparison. So there is no problem for creationists explaining that the original created kinds could each give rise to many different varieties. In fact, the original created kinds would have had much more heterozygosity than their modern, more specialized descendants. No wonder Ayala pointed out that most of the variation in populations arises from reshuffling of previously existing genes, not from mutations. Many varieties can arise simply by two previously hidden recessive alleles coming together. However, Ayala believes the genetic information came ultimately from mutations, not creation. His belief is contrary to information theory, as shown in chapter 9 on ‘Design’. Also, the once-perfect environments have deteriorated into harsher ones. Creatures adapted to these new environments, and this adaptation took the form of weeding out some genetic information. This is certainly natural selection—evolutionists don’t have a monopoly on this. In fact, a creationist, Edward Blyth, thought of the concept 25 years before Darwin’s Origin of Species was published. But unlike evolutionists, Blyth regarded it as a conservative process that would remove defective organisms, thus conserving the health of the population as a whole. Only when coupled with hypothetical information-gaining mutations could natural selection be creative. For example, the original dog/wolf kind probably had the information for a wide variety of fur lengths. The first animals probably had medium-length fur. In the simplified example illustrated below,3 a single gene pair is shown under each dog as coming in two possible forms. One form of the gene (L) carries instructions for long fur, the other (S) for short fur. In row 1, we start with medium-furred animals (LS) interbreeding. Each of the offspring of these dogs can get one of either gene from each parent to make up their two genes. They are now adapted to their environment. They are now more specialized than their ancestors on row 1. This has occurred through natural selection. There have been no new genes added. In fact, genes have been lost from the population—i.e., there has been a loss of genetic information, the opposite of what microbe-to-man evolution needs in order to be credible. Now the population is less able to adapt to future environmental changes—were the climate to become hot, there is no genetic information for short fur, so the dogs would probably overheat. In an extreme case, where a single pregnant animal or a single pair is isolated, e.g., by being blown or washed onto a desert island, it may lack a number of genes of the original population. So when its descendants fill the island, this new population would be different from the old one, with less information. This is called the founder effect. Loss of information through mutations, natural selection, and genetic drift can sometimes result in different small populations losing such different information that they will no longer interbreed. For example, changes in song or color might result in birds no longer recognizing a mate, so they no longer interbreed. Thus a new ‘species’ is formed. Figure 1: The evolutionary ‘tree’ which postulates that all today’s species are descended from the one common ancestor (which itself evolved from non-living chemicals). This is what evolution is really all about. Figure 2: The alleged creationist ‘lawn’ this represents the caricature of creationism presented by Teaching about Evolution —the Genesis ‘kinds’ were the same as today’s species. Figure 3: The true creationist ‘orchard’ diversity has occurred with time within the original Genesis ‘kinds’ (creationists often call them baramin, from Hebrew bara = create, and min = kind). Much of the evidence of variation presented by Teaching about Evolution refutes only the straw-man version of creationism in Figure 2, but fits the true creationist ‘orchard’ model perfectly well. This section will deal with some of the examples used by Teaching about Evolution, and show that they fit the creationist model better. The continual evolution of human pathogens has come to pose one of the most serious health problems facing human societies. Many strains of bacteria have become increasingly resistant to antibiotics as natural selection has amplified resistant strains that arose through naturally occurring genetic variation. Similar episodes of rapid evolution are occurring in many different organisms. Rats have developed resistance to the poison warfarin. Many hundreds of insect species and other agricultural pests have evolved resistance to the pesticides used to combat them—even to chemical defenses genetically engineered into plants. However, what has this to do with the evolution of new kinds with new genetic information? Precisely nothing. What has happened in many cases is that some bacteria already had the genes for resistance to the antibiotics. In fact, some bacteria obtained by thawing sources which had been frozen before man developed antibiotics have shown to be antibiotic-resistant. When antibiotics are applied to a population of bacteria, those lacking resistance are killed, and any genetic information they carry is eliminated. The survivors carry less information, but they are all resistant. The same principle applies to rats and insects ‘evolving’ resistance to pesticides. Again, the resistance was already there, and creatures without resistance are eliminated. In other cases, antibiotic resistance is the result of a mutation, but in all known cases, this mutation has destroyed information. It may seem surprising that destruction of information can sometimes help. But one example is resistance to the antibiotic penicillin. Bacteria normally produce an enzyme, penicillinase, which destroys penicillin. The amount of penicillinase is controlled by a gene. There is normally enough produced to handle any penicillin encountered in the wild, but the bacterium is overwhelmed by the amount given to patients. A mutation disabling this controlling gene results in much more penicillinase being produced. This enables the bacterium to resist the antibiotic. But normally, this mutant would be less fit, as it wastes resources by producing unnecessary penicillinase. Another example of acquired antibiotic resistance is the transfer of pieces of genetic material (called plasmids) between bacteria, even between those of different species. But this is still using pre-existing information, and doesn’t explain its origin. The North American lacewing species Chrysoperla carnea and Chrysoperla downesi separated from a common ancestor species recently in evolutionary time and are very similar. But they are different in color, reflecting their different habitats, and they breed at different times of year. This statement is basically correct, but an evolutionary interpretation of this statement is not the only one possible. A creationist interpretation is that an original Chrysoperla kind was created with genes for a wide variety of colors and mating behavior. This has given rise to more specialized descendants. The specialization means that each has lost the information for certain colors and behaviors. The formation of new species (speciation) without information gain is no problem for creationists.7 Adaptation/variation within Chrysoperla, which involves no addition of complex new genetic information, says nothing about the origin of lacewings themselves, which is what evolution is supposed to explain. A particularly interesting example of contemporary evolution involves the 13 species of finches studied by Darwin on the Galápagos Islands, now known as Darwin’s finches … . Drought diminishes supplies of easily cracked nuts but permits the survival of plants that produce larger, tougher nuts. Drought thus favors birds with strong, wide beaks that can break these tougher seeds, producing populations of birds with these traits. [Peter and Rosemary Grant of Princeton University] have estimated that if droughts occur about every 10 years on the islands, then a new species of finch might arise in only about 200 years. However, again, an original population of finches had a wide variety of beak sizes. When a drought occurs, the birds with insufficiently strong and wide beaks can’t crack the nuts, so they are eliminated, along with their genetic information. Again, no new information has arisen, so this does not support molecules-to-man evolution. On pages 37–38, Teaching about Evolution compares the artificial breeding of pigeons and dogs with evolution. However, all the breeders do is select from the information already present. For example, Chihuahuas were bred by selecting the smallest dogs to breed from over many generations. But this process eliminates the genes for large size. The opposite process would have bred Great Danes from the same ancestral dog population, by eliminating the genes for small size. So the breeding has sorted out the information mixture into separate lines. All the breeds have less information than the original dog/wolf kind. Many breeds are also the victims of hereditary conditions due to mutations, for example the ‘squashed’ snout of the bulldog and pug. But their loss of genetic information and their inherited defects mean that purebred dogs are less ‘fit’ in the wild than mongrels, and veterinarians can confirm that purebreds suffer from more diseases. Actually, breeds of dogs are interfertile, even Great Danes and Chihuahuas, so they are still the same species. Not that speciation is a problem for creationists—see the section on lacewings above. But if Great Danes and Chihuahuas were only known from the fossil record, they would probably have been classified as different species or even different genera. Indeed, without human intervention, Great Danes and Chihuahuas could probably not breed together (hybridize), so they could be considered different species in the wild. Creationists regard the breeds of dogs as showing that God programmed much variability into the original dog/wolf created kind. Darwin could not see how these observations could be explained by the prevailing view of his time: that each species had been independently created, with the species that were best suited to each location being created at each particular site. Actually, this is setting up a straw man, as this is not what biblical creationists believe, because it completely ignores the global flood as stated in Genesis chapters 6–9. The flood wiped out all land vertebrates outside the ark and would have totally re-arranged the earth’s surface. So, there’s no way that anything was created in its present location. Also, all modern land vertebrates would be descended from those which disembarked from the ark in the mountains of Ararat—over generations, they migrated to their present locations. It should therefore be no surprise to biblical creationists that animals on islands off Africa’s coast should be similar to those in Africa—they migrated to the islands via Africa. Darwin’s observations were thus easily explainable by the biblical creation/flood model. However, by Darwin’s time, most of his opponents did not believe the biblical creation model, but had ‘re-interpreted’ it to fit into the old-earth beliefs of the day. A prevalent belief was a series of global floods followed by re-creations, rather than a single flood followed by migration. Darwin found observations which didn’t fit this non-biblical model. This then allowed him to discredit creation and the Bible itself, although it wasn’t actually the true biblical belief he had disproved! An interesting experiment by Darwin, cited by Teaching about Evolution on page 38, also supports the creation-flood model. By floating snails on salt water for prolonged periods, Darwin convinced himself that, on rare occasions, snails might have ‘floated in chunks of drifted timber across moderately wide arms of the sea.’ … Prior to Darwin, the existence of land snails and bats, but not typical terrestrial mammals, on the oceanic islands was simply noted and catalogued as a fact. It is unlikely that anyone would have thought to test the snails for their ability to survive for prolonged periods in salt water. Even if they had, such an experiment would have had little impact. F.J. Ayala, The Mechanisms of Evolution, Scientific American 239(3):48–61, September 1978, quoted on page 55. Return to text. Other alleged imperfections are actually examples of excellent design which was falsely interpreted through ignorance, as an imperfection. A good example is the common claim that the eye is wired backwards, when this is an essential design feature. See An Eye for Creation: An Interview with Eye-Disease Researcher Dr George Marshall, University of Glasgow, Scotland, Creation 18(4):19–21, 1996; also P.W.V. Gurney, Our ‘Inverted’ Retina—Is It Really ‘Bad Design’? Journal of Creation 13(1):37–44, 1999. Return to text. How information is lost when creatures adapt to their environment, Creation 20(4):31, September–November 1998. Return to text. For information on how creationists can explain the origin of the different human blood groups from a single pair of human ancestors, see J.D. Sarfati, Blood Types and Their Origin, Journal of Creation 11(2):31–32, 1997. Return to text. The chance of survival = 2s/(1-e-2sN), where s = selection coefficient and N is the population size. This asymptotically converges down to 2s where sN is large. This means that for a mutation with a selective advantage of 0.1%, considered typical in nature, there is a 99.8% chance that it will be lost. So it is much harder for large populations to substitute beneficial mutations. But smaller populations have their own disadvantages, e.g. they are less likely to produce any good mutations, and are vulnerable to the deleterious effects of inbreeding and genetic drift. See L.M. Spetner, Not By Chance (Brooklyn, NY: The Judaica Press, 1996, 1997), chapters 3 and 4. Return to text. C. Wieland, Superbugs Not Super after All, Creation Ex Nihilo, 20(1):10–13, June–August 1992. Return to text. C. Wieland, Speciation Conference Brings Good News for Creationists, Journal of Creation 11(2):136–136, 1997. Return to text. J.D. Sarfati, How Did all the Animals Fit on Noah’s Ark? 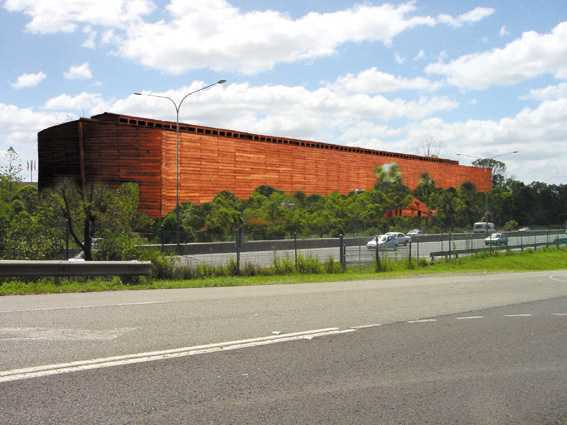 Creation 19(2):16–19, March–May 1997; J. Woodmorappe, Noah’s Ark: A Feasibility Study (Santee, CA: Institute for Creation Research, 1996). Return to text. C. Wieland, Darwin’s Finches: Evidence Supporting Rapid Post-Flood Adaptation, Creation 14(3):22–23, June–August 1992; see also C. Wieland, Review of J. Weiner’s Book: The Beak of the Finch: Evolution in Real Time, Journal of Creation 9(1):21–24, 1995. The book is full of misleading and patronizing attacks on creationists, and is a major propaganda tool used by Teaching about Evolution. Return to text. Creationists, starting from the Bible, point out that the Hebrew words for the animals taken on the ark do not include invertebrates, and believe that invertebrates probably do not have life in the nephesh sense. From these premises, it follows that they must have survived off the ark somehow. For some plausible solutions to this and other problems people have raised about the ark, see reference 8. Return to text. J. Weiner, The Beak of the Finch: Evolution in Real Time (London: Random House), page 136. [See review.] Return to text. As for questions like ‘How Did Koalas Get to Australia?’ there are several possibilities. Land vertebrates could have migrated widely when land bridges were exposed when the sea level was lower during the post-flood Ice Age. Another important factor is introduction by humans. That’s how the rabbit reached Australia, and some of Australia’s animals could have arrived with the Aborigines. See The Creation Answers Book by Don Batten (ed. ), David Catchpoole, Jonathan Sarfati and Carl Wieland (Creation Book Publishers, 2006), Chapter 17. Return to text. By downloading this material, you agree to the following terms with respect to the use of the requested material: CMI grants you a non-exclusive, non-transferable license to print or download one (1) copy of the copyrighted work. The copyrighted work will be used for non-commercial, personal purposes only. You may not prepare, manufacture, copy, use, promote, distribute, or sell a derivative work of the copyrighted work without the express approval of Creation Ministries International Ltd. Approval must be expressed and in writing, and failure to respond shall not be deemed approval. All rights in the copyrighted work not specifically granted to you are reserved by CMI. All such reserved rights may be exercised by CMI. This Agreement, and all interpretations thereof, shall be deemed to be in accordance with the law of the state of Queensland, Australia. Any dispute arising out of this Agreement shall be resolved in accordance with Queensland law and the courts of Queensland shall be deemed to be those of proper jurisdiction and venue. Download the whole book from our store for a modest cost.